Kuala Lumpur (VNA) – Vietnamese athletes won more medals in wushu and archery on the morning of August 22 at the ongoing 29th Southeast Asian (SEA) Games in Malaysia. 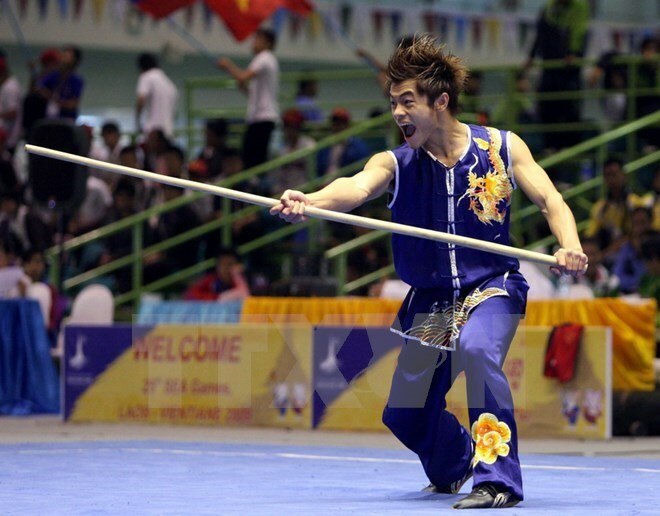 Wushu artist Pham Quoc Khanh earned a silver medal at by scoring 9.66 points at the men’s Nanquan category, his second at the SEA Games 29. On August 21, he won a silver medal with a total score of 19.32 in Nandao and Nan Gun category. In the women’s Nandao and Nan Gun category, Nguyen Thuy Linh secured a silver medal with 19.25 points, while Nguyen Thuc Anh pocketed the bronze with 18.77 points. Archers Loc Thi Dao and Chu Duc Anh defeated their rivals from the Philippines 6-2 to grab a bronze medal at the mixed team recurve (one-string bow) category.